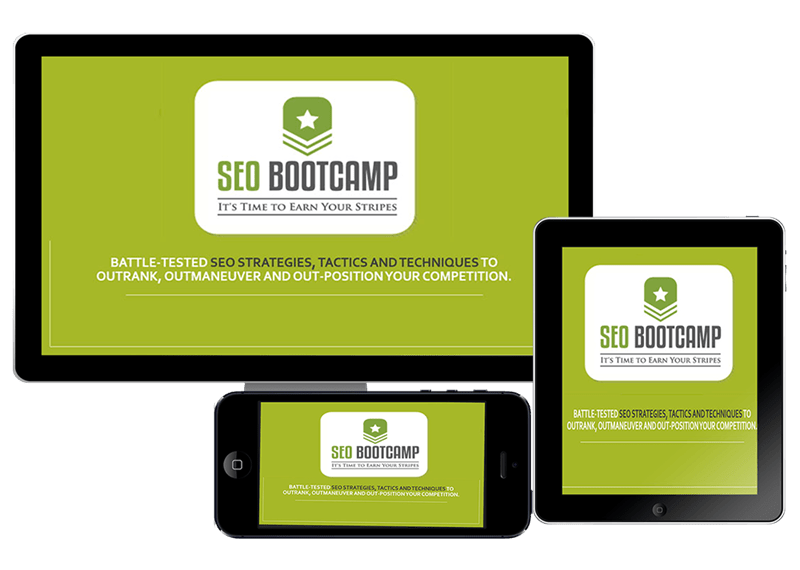 SEO Bootcamp is a 5 week online class that teaches how to optimize your website for higher search engine positioning. Find the best keywords using competitor, keyword and market analysis to out-position your competition. Write compelling meta titles and descriptions that get more clicks. Structure your site architecture based on topics to increase relevance & rank for hundreds of keywords. Write optimized content that ranks higher by using the top ranked sites proven keywords and synonyms. Implement agency-grade technical on-page SEO (schema &structured markup, internal linking and more) like a BOSS. Leverage your RSS feed and create inbound links and social signals (every time you publish). Ready to Start Ranking for All the Best Keywords? Now it’s time to do something about it! Target, Identify, and extract your competitors most profitable keywords. Reverse-engineer and displace their pages using proven, battle-tested SEO tactics. Find the best niches by identifying missed opportunities in the market. Module I: Week 1 – Market Recon: Shows you how to conduct keyword research and competitor analysis to find the most profitable keywords, topics and questions that people are using to find products and services like yours. Module II: Week 2 – Site Architecture Intelligence: Shows you how to integrate the keywords you discovered into your site architecture. Types of site architecture covered in the training include flat, virtually themed, siloed or topical site architecture (for e-commerce) and which is best depending on your ranking objectives. Module III: Week 3 – The Tactical Content Blueprint: Will teach you how to write content that ranks based on the proven semantic signals of the top 16 ranked competitors. Module IV: Week 4 – On Page SEO Ops: Reveals an insane arsenal of on-page technical SEO tactics and techniques from the trenches that you can use to start fresh or streamline existing pages. Module V: Week 5 – Off Page SEO Ops: Will teach you exactly how to create social metrics and backlinks by leveraging the power of your RSS feed to augment and create ranking signals. Advanced SEO Ops: Bonus Training – Special Operations, We’d tell you but… well, you know… just get access and see for yourself.